Host nation Poland got their European U21 Championship campaign off to the worst possible start as Pavol Safranko's goal condemned them to a 2-1 defeat. Poland had enjoyed a fine opening to the game in Gdynia as Patryk Lipski headed in the tournament's opening goal after 53 seconds, before Slovakia equalised on 20 minutes through Martin Valjent. However, Slovakia ensured that they ended the day in top spot in England's group as Safranko calmly scored the winner late on following a swift counter-attacking move. Poland poster boy and Leicester City player Bartosz Kapustka was named in the starting XI for the home side. Sampdoria team-mates Karol Linetty and Milan Skriniar lined up against each other. In front of a sell-out crowd at Arena Lublin on Friday evening, Lipski gave the Poland supporters plenty to cheer about inside the first minute as he thumped a header past Adrian Chovan following Tomasz Kedziora's pinpoint delivery into the box from the right flank. The visitors responded well to that early setback though and deservedly grabbed an equaliser on the 20-minute mark through Valjent, who squeezed the ball underneath Jakub Wrabel in goal following a fine free-flowing move. Slovakia had a golden opportunity to take the lead shortly afterwards but Adam Zrelak saw his close-range effort diverted over the crossbar by Wrabel after the goalkeeper had initially fumbled Albert Rusnak's well-struck drive back into the danger zone. Poland were dealt a sizeable blow on the hour mark as their star man Bartosz Kapustka was forced off the pitch due to injury. The Leicester City winger will be hoping that the injury is not serious after enduring a frustrating debut campaign in English football. The hosts were a tad fortunate to avoid giving away a penalty midway through the second period as reported Southampton target Jan Bednarek appeared to haul Zrelak to the ground, although the referee turned a blind eye to the incident. Just five minutes after coming on for Zrelak, substitute Safranko became the hero for his side as he slid a precise left-foot finish past the onrushing Wrabel following an excellent run from Matus Bero. 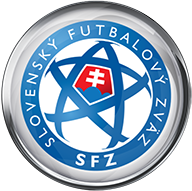 Goalkeeper Chovan secured the win for Slovakia as he made a remarkable finger-tip save late on to deny Pawel Dawidowicz's goal-bound header to ensure that his side head into the second round of fixtures two points clear at the top of Group A. A number of Slovakia's attacking players caught the eye with their performances but Matus Bero was their standout performer after supplying the match-winning assist for Pavol Safranko's goal. Bero's powerful surge up the field invoked panic in the Poland defence and his run was only brought to an end by a clumsy challenge on the edge of the box that left Safranko with a simple finish. Next up for Slovakia is a clash with England in Kielce, live on Sky Sports 1 from 4.30pm on Monday. 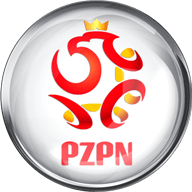 Poland host Sweden at 7.45pm on the same evening in Lublin; a match you can see on Sky Sports 2.